The Building Nurse Capacity project comes with $10,000 and APNA support to make it happen. Apply now! 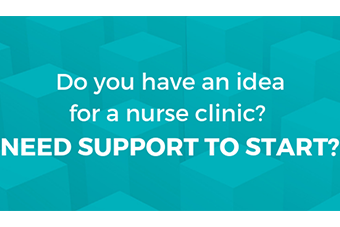 Do you or someone you know, have an idea for a nurse clinic or need help to improve an existing model in your workplace? APNA’s Building Nurse Capacity project can help. With $10,000 grant funding available and 18 months of APNA support, we’re keen to support the development of nurse clinic models that help meet your local community’s healthcare needs and build the capacity of the existing healthcare team. Who are we looking for? Passionate primary health care nurses across Australia. This includes nurses from general practice, community health, Aboriginal and/or Torres Strait Islander health services, correctional health, and any other primary health care settings across metropolitan, regional, rural and remote areas. We close applications at 5pm Monday 3 December, so make sure you apply soon. Want to know more about APNA’s nurse clinics? Read our previous case studies.